Now a days cryptocurrency is the hottest topic in the world. cryptocurrency is the most powerful concept where almost no middle man and government involved. If you interested to invest your money in cryptocurrency then it's a smart choice for you. Because I noticed that most people don't know anything about cryptocurrency and 2019 is the best year to invest your money in cryptocurrency. Cryptocurrency's future looks bright.major cryptocurrency like bitcoin and ethereum allow freelancers to receive payments with very low fees. You may become next millionaire through investing in cryptocurrency. In this article you will find the top 3 cryptocurrency's to invest for 2019. So read this article carefully. Yes! ethereum is one of the best cryptocurrency to invest for 2019. Ethereum is a decentralized platform which runs smart contracts. Vitalik Buterin the founder of ethereum successful to make his own cryptocurrency. In a recent interview, he said that his favourite block-chain application at present is in Singapore. Which aims to validate university degrees. Now the market cap of Ethereum is $16,694 million. Which seems like a good for the year 2019. And I noticed that most people start investing in Ethereum. You may know that bitcoin price is falling down in 2018 but Bitcoin is still the best cryptocurrency to invest for 2019. Most people interested to buy bitcoin in these days. bitcoinis the most topped searches topic in google. The price performance comes as the cryptocurrency industry becomes increasingly indifferent to the potential effect of a bitcoin exchange-traded fund acceptance or rejection by U.S regulators. In 2018 bitcoin volume were held at $4.3 billion on a market capitalization of 59.9 billion. Ripple is the US based company and Ripple is the another best cryptocurrency to invest for 2019. This cryptocurrency is the second largest coin in the market cap. The market cap of ripple is $14.57 billion. The transaction speed of ripple is too low. Banks use the ripple as a payment network. Ripple's native cryptocurrency XRP is now on binance as a base pair for trading a variety of crypto assets. Every cryptocurrency is different. They have a different market cap. It seems like cryptocurrency is replacing FIAT within the next 10 years. 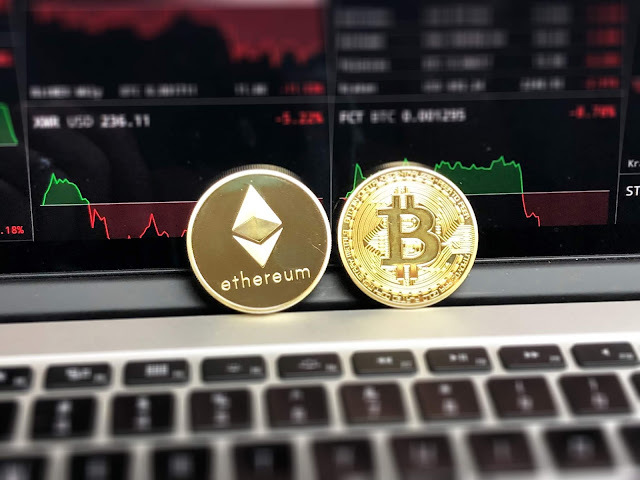 Cryptocurrency's market also known as the highly volatile market. That's why I will highly recommend you to invest your that money which you can't afford to lose. In the cryptocurrency market, the long term investors make more money as compared to short term investor.